Steel Wedge, 20 Degree x Customer Specific W x L - Radiation Products Design, Inc.
Steel Wedge, 20° x Customer Specific W x L.
Custom Wedges are made for Varian, Siemens, AECL, Elekta, Toshiba, ATC, Mitsubishi, and ADAC accelerators. 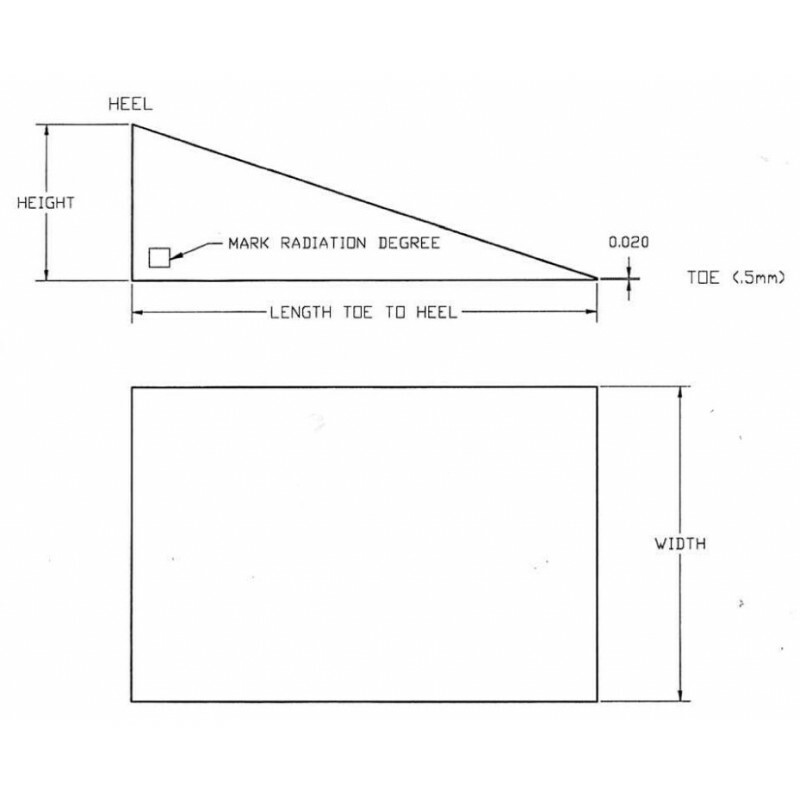 For high energy linear accelerators, wedges can be made of stainless steel, cold rolled steel, lead with antimony, brass, tungsten, or aluminum. When ordering completely fill out and send in the drawing found in the documents tab. NOTE: The degree angle of the wedge is not the physical angle. 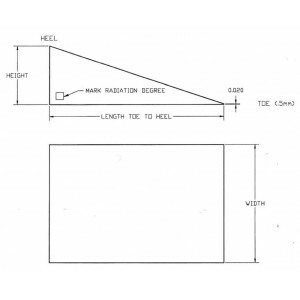 The radiation angle must be calculated by the physicist. There is an extra charge for wedges over 2.5cm thick or 15cm wide - Wedge tray must be ordered separately.